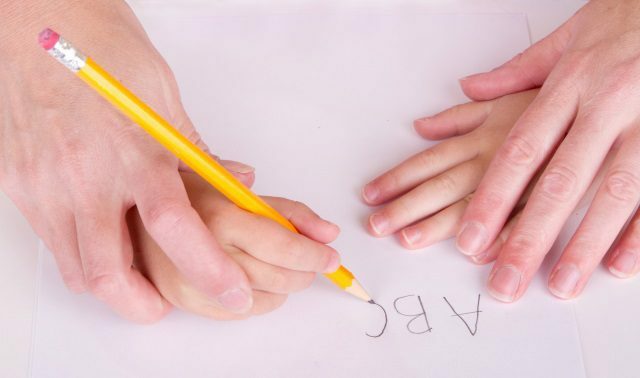 Pencil Grip and Your Child: Is Handwriting Really Important? Your child’s pencil grip might seem like a silly thing to worry about. As long as they get the words on the page, does it really matter? Actually, yes… handwriting does make a big difference, not only to your child’s learning, but also to their ability to ‘show what they know’ at school. Kids First’s occupational therapists explain why your child’s pencil grip and handwriting are important to their academic success. Good handwriting and the ability to write easily is still as important as it ever was, if not more so. Not every job involves sitting behind a computer for most of the day, and even jobs that do may involve the need to communicate through pen and paper, take notes, or use handwriting once in a while. Not only that, handwriting is a critical literacy skill that will shape the way your child interacts with the written word. It’s critical that your child learn to grip their pencil properly when they’re young in order to improve their speed and legibility later. If your child doesn’t learn appropriate pencil grip between the ages of four and six, they’ll find it much more difficult to correct the habit later. Correcting your child’s pencil grip when they are young is the best way to successfully give them the tools they will need to succeed in later grades. From the age of four, it’s important that you start working with your child on how to grip a pencil correctly. It doesn’t have to start with letters: tracing shapes, drawing simple pictures, and even colouring in are all important facets of learning proper handwriting. Using appropriate pencil grip during these activities will help prepare your child for later writing success. The dynamic tripod grip, with the thumb, index, and middle fingers holding the pencil, is the most effective way to write quickly and easily. This method allows your child to balance the pencil without putting undue strain on their joints. It should be a relatively loose grip; if your child has a ‘death grip’ on the pencil, they’re going to put unnecessary tension on their hands and find it difficult to write quickly. . If you’re working with your child at home on pencil grip, simply correcting them may not be enough. Instead, it’s important to understand that writing is a fine motor skill. It requires a number of fine adjustments in order to shape letters correctly. 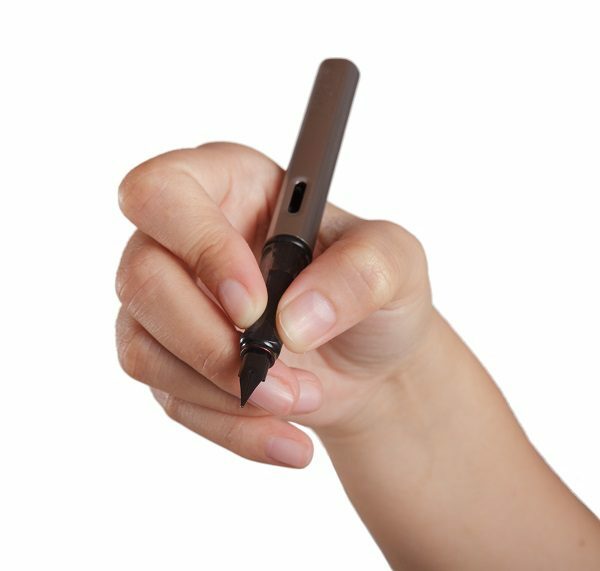 Neat handwriting with a correct pencil grip also requires a certain amount of hand strength. Performing exercises that will allow your child to increase their strength, flexibility, and control will help them develop better overall handwriting skills. Adaptable finger grips may also help your child master an appropriate grip of their pencil by shaping the way it sits in their hand. By utilizing a variety of tools, you can help make your child’s fine motor skills development and strength development come together more effectively. An occupational therpapist can help you to determine which exercises and tools would be most helpful for your child. Part of preparing your child for academic and professional success is making sure they know how to write easily and well. If your child is struggling with handwriting or needs more help developing their pencil grip, contact us at Kids First! We’ll help you with practical ideas to get your child’s handwriting on track. Does your child need handwriting help? Kids First’s highly experienced Occupational Therapists have helped hundreds of northern beaches kids to improve their handwriting, and they and they can help your child too. Contact us on (02) 9938 5419 to chat about your child’s needs, or click on the image below to find out more about how Occupational Therapy can improve your child’s handwriting. ← Pencil Grip and Your Child: Is Handwriting Really Important?